Light up the scoreboard on offense! Have the defense keep the ball in front of them and rally to the ball. It's real simple. Catch a break or two along the way. So where do we go from here?!?! Do we pull up old footage of Air Coryell and Run-n-Shoot and try to make the scoreboard go 'TILT' just to try to get wins? He also had Lawrence Taylor and some pretty good players along the way. He hasn't all of sudden forgot how to call a game. Nolan was a rockstar DC EVERYWHERE before he came to ATL. I hear you when you say coachs share blame. However, I put most of the blame squarely on the shoulders of Thomas given Nolan's track record. Not true. He's out of his boot. Roby or Weems. Hey D-Led, I hear Drew Davis is almost ready to practice. He is on the Pup list. In order to get on the 53 man roster, someone would have to go back down to the practice squad or get cut. Who do you think that is? Even if/when Drew is back, with a deep WR corps, he would have to be a ST dynamo, so I am guessing Courtney Rody? Any word on Harry D? He'd probably be a great defensive end. Can Gurley sack the opposing team's QB? 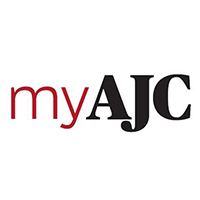 Falcons guard Justin Blalock (back) and wide receiver Harry Douglas (foot) will not play against the New York Giants on Sunday, head coach Mike Smith announced on Friday. Blalock's streak of 102 consecutive starts will be snapped. Neither player practiced this week. Blalock has never missed a game because of injury during his eight-year career and has made 102 consecutive starts in the regular season. Harland Gunn is set to replace him in the lineup. The Falcons signed Gunn off the practice squad on Tuesday after center Joe Hawley (knee) and tackle Lamar Holmes (foot) were placed on season-ending injured reserve. Douglas did not play against the Vikings. He was a full participant for two practices leading up to the game before being listed as limited on Friday. Four Falcons players were upgraded to full in practice Friday: wide receiver Devin Hester (ankle), safety Kemal Ishmael (ankle), wide receiver Julio Jones (ankle) and linebacker Prince Shembo (knee). Willie Moe was the only guy on the defensive side of the ball that anybody who didn't watch hard Knocks (or gasp, RHWoA) has ever heard of. So Billick speaks the truth. Two years in and I still have no idea whether whether Nolan is a good DC or not. I suspect that his exotic looks would be sensational if he had five or six pro bowlers playing for him. Your thoughts, D? They've drafted SEC players. Mike Johnson, Akeem Dent, Thomas Brown, Julio Jones, Corey Peters et al. Have you been given any sense as to why we seem to avoid defensive players from the SEC? What's the Falcons drafting philosophy and why does it seem to suggest we stay away from the SEC? We breed grown men down here! #Falcons coach Mike Smith just said Justin Blalock and Harry Douglas are OUT for Sunday's game against the New York #Giants. No. That would be a major NCAA violation. They can scout him, but they have to follow NCAA rules until his eligibility has expired or he declares for the draft. OK, so looking forward: What is the outlook vs. the Giants? He looks the same to me. Spent too much time getting knocked around in the preseason. But there is a sense of urgency that is different. Having his Wisconsin buddy Gabe Carimi here should help him. How has Konz looked in practice this year compared to last year? That's have be drafting pretty high to get a shot Gurley! He's a wonderful looking prospect. I don't know yet. Will get with my digital people and see if we can pull one off. That would be fun. Any 'tweet ups' in London with the Falcon fans? there is a difference between being jinked and lacking depth. The offensive line is constantly being reshuffled because of injuries. A shaky defense lost two of its leaders. I think 9-7 gets you the trophy and a wildcard ticket. There really doesn't seem to be a dominant team in the NFC South this year. Do you think 8 wins could win the division? See Billick comments. He said he's been using smoke and mirrors and is out of mirrors. How does Mike Nolan still have a job? Do the Falcons really reward people for finish next to last? Which The Falcons' defense was last year and is this year. Yes, I do have a ticket and I will be blogging from London!!! No, he said they "mis-assesed" the offensive line situation. Publicly admitted to the mistakes. So, no. He's not above criticism. It is a collaborative effort and the coaches, who help with the scouting for scheme fit, share some of the blame. Just curious, D, do you have a ticket to London? And if so will you be blogging from there? Regarding front office, yes the draft is an exciting craps shoot, but I expect people who know a lot more than i do to impress me with their free agent signing skills. I have yet to get that warm tingly feeling from a free agency acquisition. And I can't say seeing two guys getting released after 2012 making the pro bowl last year makes me feel good. And I seem to recall dismantling an O-Line that provided a perennial top-10 rushing offense. Is Dimitroff above criticism? No. Trades are rare in the NFL. If the Falcons somehow get to the mid season on a good note ( 5-2 or 5-3) do you see us pulling off a trade for some defense help? Or is the mid-season to late to have trades? No sure. We'll ask him today. 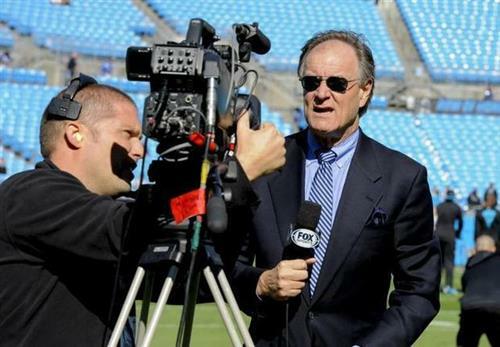 Do you think Billick was just voicing what Smith has said to him in private? Has anybody asked Smith about those comments? Sidbury, Maponga, Massaquoi were all good college pass rushers. Has Dimitroff drafted a single player with pass-rush credentials coming out of college? No, he seemed sincere. I listened to the whole interview a couple of times this morning. Billick gets paid to say that?